»» Download Fox Magic Audio Recorder for free! »» Download Tauon Music Box for free! »» Download Diffractor for free! »» Download ScreenVirtuoso for free! 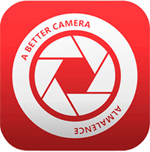 »» Download PhotoHandler for free! PhotoHandler ::: a computer program that allows users to manage and organize photos. Using PhotoHandler you can locate, organize, import and edit digital photos. »» Download Screenshot Ultra for free! Screenshot Ultra ::: a computer program that allows users to take screenshots. Using Screenshot Ultra you can capture everything that appears on the screen or just some areas. »» Download ArtistScope Web Browser for free! 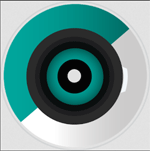 ArtistScope Web Browser ::: a very useful web browser for web masters and content creators. By using ArtistScope Web Browser, you have access to several security and protection options. »» Download Registry Help for free! Registry Help ::: a maintenance program that enables users to improve the performance of the computer. Using Registry Help can optimize and clean the Windows registry. »» Download Smart Partition Recovery for free! Smart Partition Recovery ::: a computer program that allows users to access hard disks with problems. Using Smart Partition Recovery can recover partitions and fix boot problems. »» Download HDCleaner for free! HDCleaner ::: a computer program that allows users to clean up and improve PC performance. Using HDCleaner can clean your computer of unnecessary files.